For most people suffering lower leg, foot and ankle injuries, the answer is YES! iWALK 2.0 is a great way to improve your qualify of life during your rehabilitation. If you could walk reasonably well, absolutely unassisted, prior to your injury or condition, then you can iWALK. 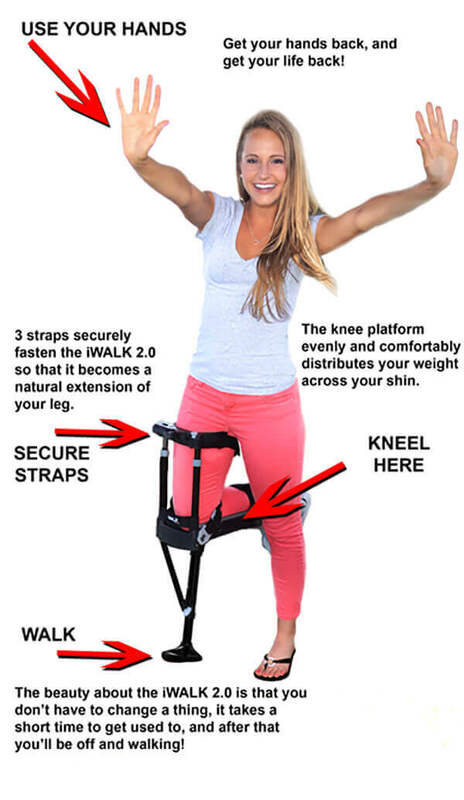 The iWALK 2.0 can restore the mobility you lost due to your injury. It cannot provide you what you didn’t already have. That said, since every physique and every injury is unique, we recommend that you always consult with your health care professional before using the iWALK 2.0. You are between 5’0” (152CM) and 6’6” (198cm). 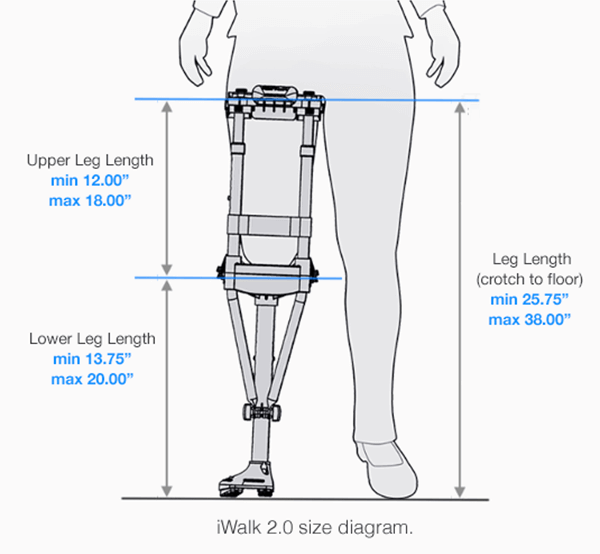 The iWALK 2.0 is fully adjustable for a wide range of heights and leg sizes. If you fall outside of this range, iWALK 2.0 might still work for you, but contact us for an individual assessment first. A good quick test to see if the iWALK 2.0 might be suitable is to place the shin of the injured leg (with your leg bent 90 degrees) on a padded bench or chair. If you can carry weight in this manner for a few minutes and the shin and knee remain comfortable, this is a good indication that iWALK 2.0 will work for you. NOTE: There are exceptions to the guidelines provided above, so if you fall outside of those listed here, don’t be discouraged – just give us a call so we can discuss your specific circumstances. We wish that we could help everyone avoid the pain and inconvenience of using crutches, but we can’t. While the iWALKF 2.0 can and does bring new mobility and functionality to your life, it does have its limitations. Are unwilling to spend one to three days to become completely proficient in using the iWALK 2.0 (we’ve seen cases where users get used to iWALK 2.0 in 10 minutes, but everyone is different). We’ve a large collection of user videos to give you an idea of what using an iWALK 2.0 is like, or you can go to the shop. Use the buttons below.